Rev. John D. Jankens was born on September 4, 1961 in Ferndale, Michigan. He is the son of Aeldgytha Jankens and the late Rev. Edward G. Jankens. 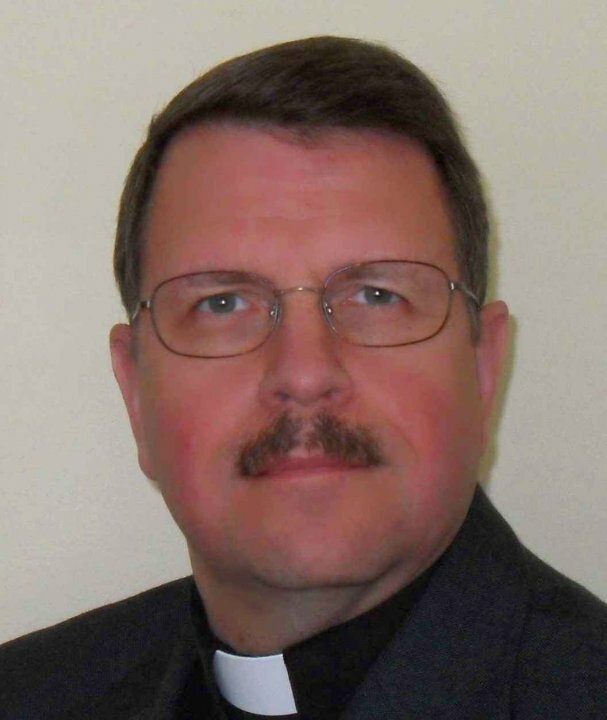 He was received into God’s kingdom of grace in Holy Baptism at Trinity Lutheran Church in Berkeley, Michigan and confirmed that faith at Redeemer Lutheran Church in St. Clair Shores, Michigan in 1975. Rev. Jankens graduated from Lawrence Technological University, Southfield Michigan in 1983 where he received a Bachelor of Science Degree in Electrical Engineering. He received his theological education at Concordia Theological Seminary in Fort Wayne, Indiana where he received his Master of Divinity Degree in 2002. He was ordained into the ministry of the LCMS on August 4, 2002. Pastor Jankens and his wife Judy have been married since 1983 and have three sons David, Andrew, and Ethan. Trinity Hanceville holds a special place in pastor Jankens’ life since this was the same congregation to which his father received his first Call in 1949. He considers it a special blessing from God that he and his father were both ordained into the ministry of the Lutheran Church - Missouri Synod at Trinity congregation and he is thankful that he has been given the added blessing of being able to serve this loving and Christ-centered congregation.